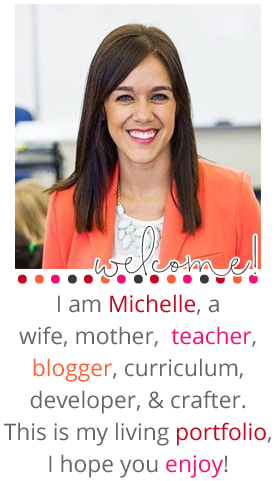 One of my favorite themes to start the beginning of Kindergarten with is an Apple Theme!!!! Apples are amazing because you can teach all the subjects using the same topic! 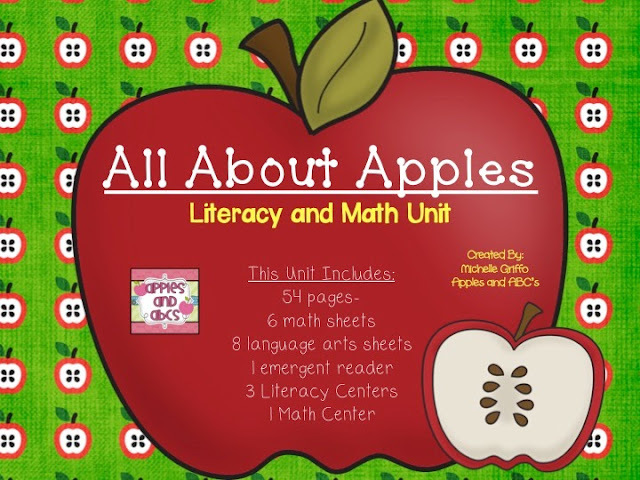 You can graph apples, explore them with your five senses, read books about apples, write about them...the options are endless! I want to share my Apple Unit with you that might be helpful in teaching your apple theme. 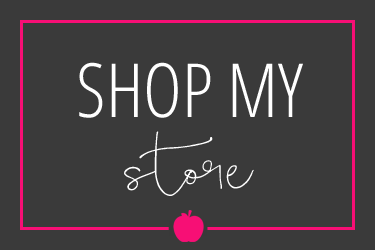 Pick up the Kindergarten apple unit HERE! One center included is sorting upper and lower case letters. 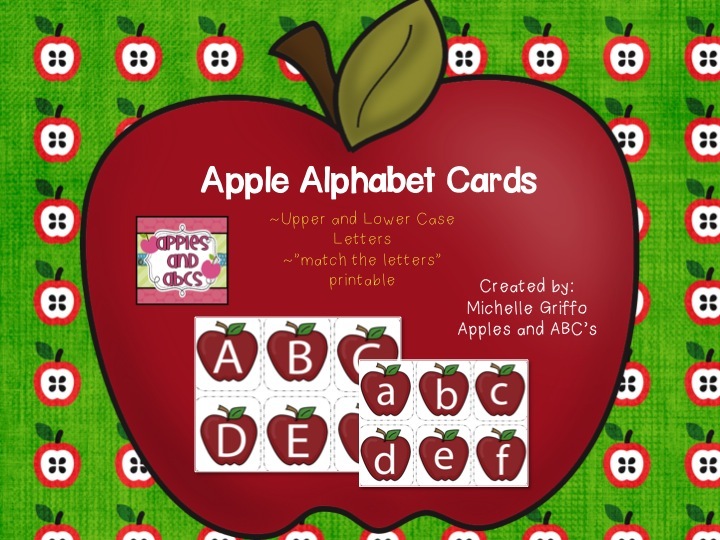 This fun apple activity is a quick assessment to see who knows the difference between upper and lower case letters. 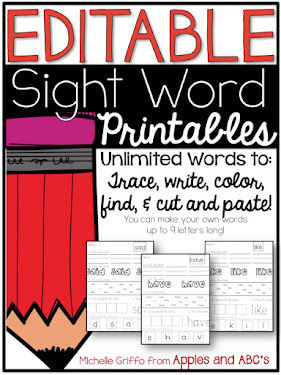 A different skill is matching upper and lower case letters together. The students look at the upper case letter in the big apple and clip the matching lower case letter. Each center is accompanied with a response or recording sheet for you to check for understanding. 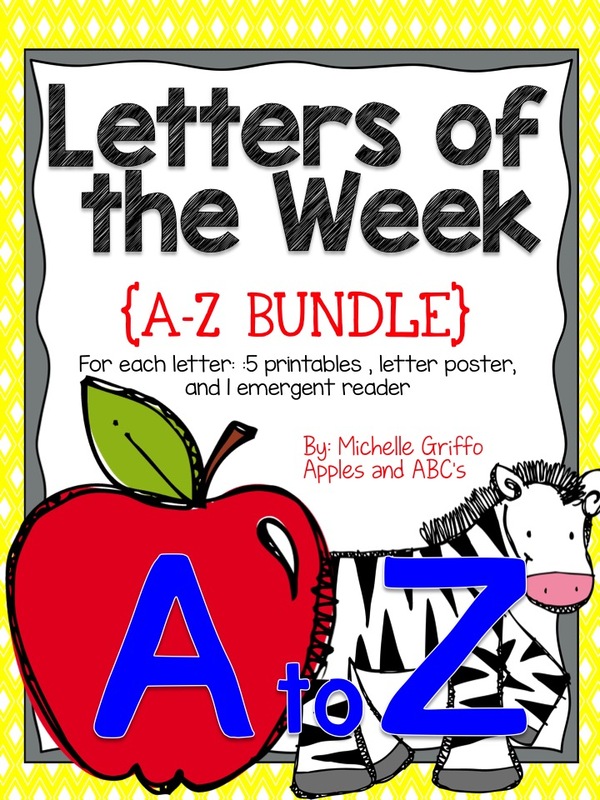 A difficult skill for the beginning of Kindergarten is writing down what letter comes before or after a certain letter. I hide these cards around the room, and the students place the recording sheet on a clipboard. 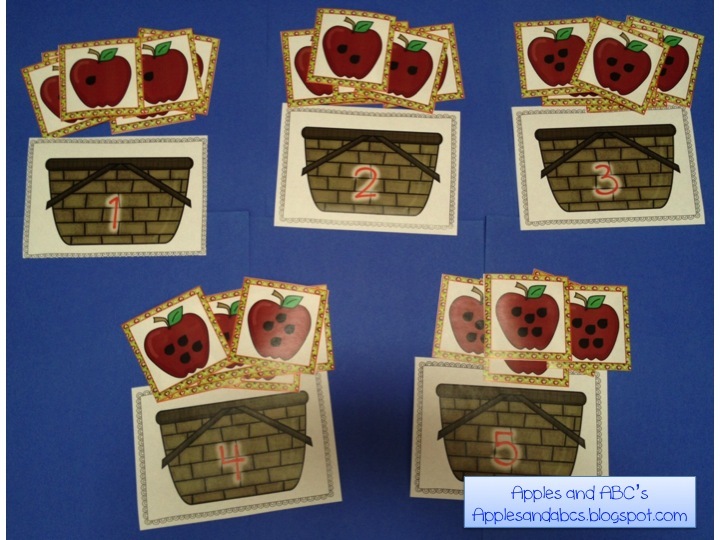 They wander the room to find the cards and write the letter that comes next in ABC order. 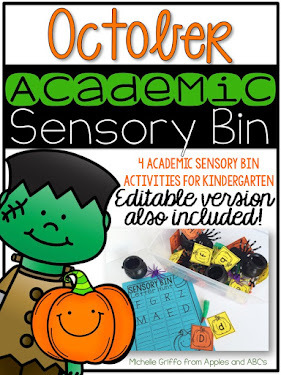 This picture shows some of the printables that are included in the unit. 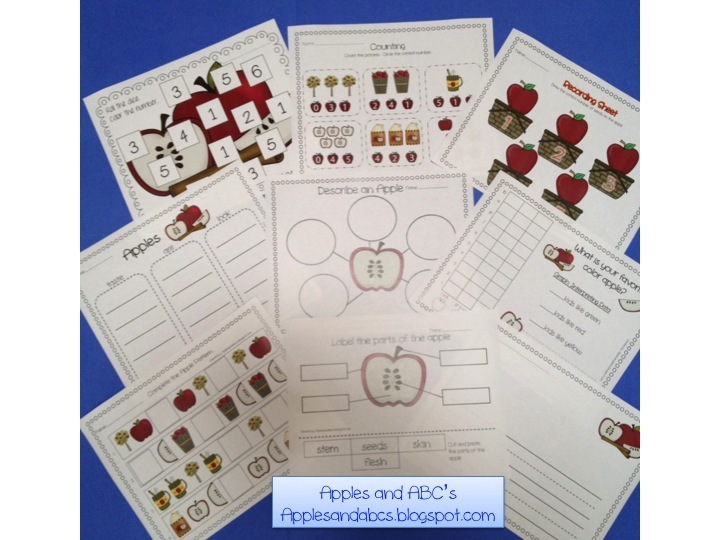 My favorite apple activity is this math center! 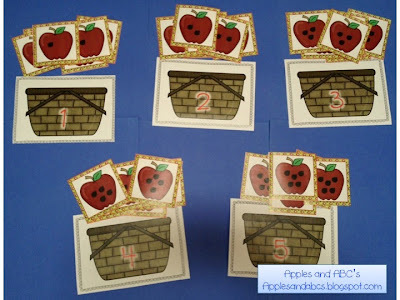 The students count the seeds on the apple, and place it in the correct basket. You can display these in a pocket chart to practice ABC order or match the upper and lower case! Hooray! 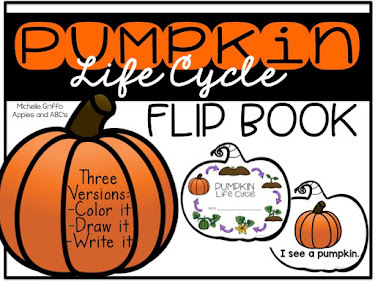 I love fall! Now if it would just cool down here a bit. It's been in the 90's for 2 weeks. Love that it was crap weather all summer and now that I am trapped inside, it's blazing! This is so perfect! 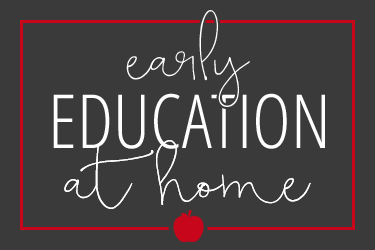 Apples are first up on the kindergarten list for me as well! You always have the best ideas! 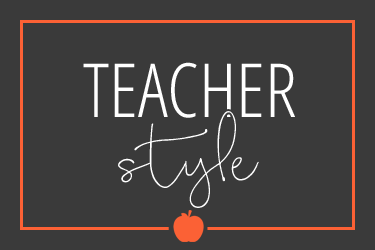 I can't wait to see pictures of your activities in action with the little cuties in your class!